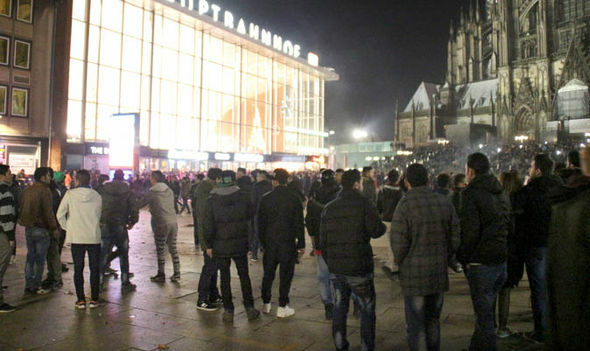 Investigations continue into allegations that hundreds of women taking part in the traditional New Year’s Eve party outside Cologne’s railway station were groped and robbed by massed attackers including migrants and asylum-seekers. Similar attacks were reported in other German cities. 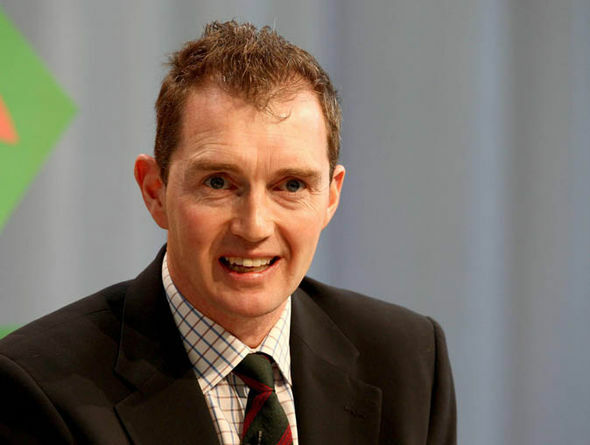 Monmouth MP David Davies has written to Foreign Secretary Philip Hammond urging him to rewrite Foreign Office travel advice for the country. He wrote: “These attacks were of a nature and scale that has never before been seen in Europe and sadly elected officials and police officers are quoted as saying that they cannot guarantee the safety of women in cities like Cologne. “The Foreign Office website already contains warnings about the specific dangers which confront female and gay travellers to other parts of the world, especially the Middle East. 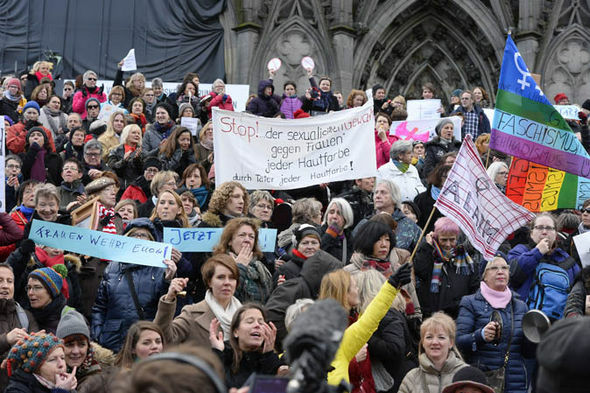 More than 600 women have now complained they were victims in Cologne and other German cities on New Year’s Eve of attacks ranging from sexual molestation to theft. Police say their investigations have focused on illegal migrants from north Africa as well as Middle East asylum-seekers but on Friday admitted Syrians and Iranians – as well as two Germans – were among those arrested in connection with the incident. German authorities and media sparked anger by initially playing down the incident to avoid inflaming tensions over Chancellor Angela Merkel’s decision to open the country’s doors to more than a million people fleeing to Europe from Syria and other wartorn countries last year. Cologne’s police chief was sacked last week for his handling of the attacks while there have been violent and peaceful anti-Muslim protests. Yesterday German government ministers outlined plans to speed up deportation of foreign criminals. British politicians are among those warning that the mostly male asylum-seekers reaching Germany, often from countries where European women and dress codes are despised, will be free in a few years’ time to come to Britain under European Union rules once they get German passports. The Foreign Office website advises women to “dress modestly” when visiting countries such as Morocco, Jordan, Egypt, Iran, Saudi Arabia and Qatar, and warns gay people against public displays of affection in Russia where homosexuality is legal but local people may be violently opposed. As of yesterday, the Foreign Office advice on Germany cites a “general threat from terrorism” and increased security in public places. 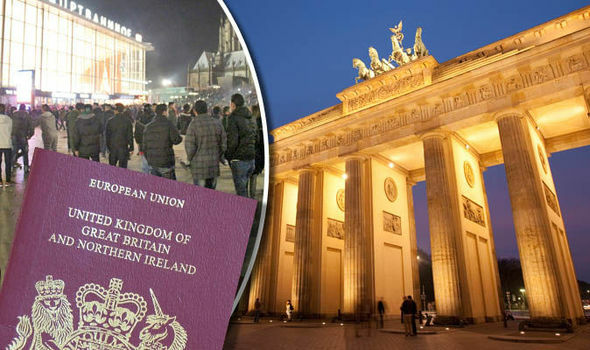 Crime levels are “broadly similar” to the UK’s and people should take sensible precautions against theft but most of the around two million Britons visiting Germany every year enjoy “trouble-free” visits, it said.